Hi!! 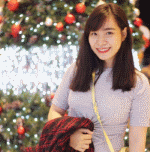 I am Belle, your partner in learning English through Skype and I definitely assure you to bring my years of expertise in teaching English to foreign students. I took up a 4 year course, Bachelor of Science in Secondary Education major in English and currently taking Master of Arts in Education major in Educational Management. I am pursuing my career to be a great teacher for diverse learners. I can also be your guide for the preparation for your international ESL exams such as TOEFL, IELTS and even TOEIC. I will be your English teacher that will serve as your lighthouse to develop your skills toward learning English such as Grammar, Vocabulary and even how to communicate with ease. Imagine, you can have fun while learning English language. We can discuss and share knowledge regarding culture, business, studies and even the simplest topics that interest you. Very useful and interesting class! She is friendly. She teaches clearly. Teacher very friendly, happy , I hope that I improve skill english. Thank you so much. Thank you for your teaching. I like the way you fix her mistakes. After the lesson last night, my daughter said that she votes 5 stars for you. She likes your lesson very much. Thank you! Nice to meet you again! She was very patient to correct pronunciation and grammar for me. i like her. I like the lesson, very happy to see you tonight. Thank you very much. Thanks for your lesson. You're very quickly to learn. Goodbye. she is very very good. Belle is an absolute pleasure to study with. She is a competent teacher. I would highly recommend her to other students.